Acupuncture is a technique designed to promote natural healing and improve body function, and has been practiced for thousands of years. It involves the insertion of needles into the skin at key points for preventative or therapeutic purposes, which may benefit people with a range of conditions. The classical Chinese explanation is that the acupuncture needles unblock obstacles blocking energy channels, called meridians that run through the body and over its surface. Like flowing rivers, these energy channels irrigate and nourish tissues. Acupuncture then restores the regular flow of Qi (pronounced Chee) energy through the meridians, helping the body’s organs correct imbalances and in the circulation of energy, according to traditional Chinese medicine. The modern scientific analysis is that ‘trigger points’ are stimulated, resulting in the release of chemicals within the body that change the experience of pain or influence the body’s own internal regulating system – which may then promote physical and emotional wellbeing. What is medical and traditional acupuncture? Acupuncture has its roots in traditional Chinese medicine, stretching back thousands of years. It has also developed in Western medicine as medical acupuncture, which describes the technique performed by a doctor trained and licensed in Western medicine who has had thorough training in acupuncture as a specialty. Such a doctor can use one or the other approach, or a combination of both as the need arises. People may feel more relaxed, more positive and feel revitalised after receiving acupuncture, because it may promote well-being and well-feeling. It may also help provide short-term relief from chronic low back pain, tension type headaches, migraine headache, neck pain or chronic neck pain, temporomandibular pain, temporary adjunctive treatment for osteoarthritis knee pain and short-term improvement in the symptoms of overactive bladder syndrome. How many sessions may you need? At Align, dry needling is offered as an adjunct to chiropractic treatments, therefore the number of sessions will vary depending on individual needs. This treatment would be discussed following your initial examination. We find it’s quite common for people to have a sensation of deep relaxation with the first couple of sessions. Occasionally, there may be a little bit of muscular discomfort following dry needling (it can feel like when you do after doing a bit too much exercise) which can be soothed by using ice or heat. This should not cause concern, as it may indicate that the acupuncture is beginning to have an impact. As well as a feeling of relaxation, some people may be mildly light headed immediately following the treatment. These pass within a short time, and never require anything more than a bit of rest to overcome. Do the needles hurt and is it safe? Some people feel no pain at all, while most only feel minimal pain as the needles are inserted. Once the needles are in place, often no pain is felt. Acupuncture needles are very thin and solid, and made from sterile stainless steel and one-use only. The point is smooth – not hollow with cutting edges like a hypodermic needle – and it’s not as painful as injections or blood sampling. The risk of bruising and skin irritation is less than when using a hollow needle. All needles come in individual blister packs. More insurance companies are covering acupuncture costs, but each health policy must be reviewed to check acupuncture benefits. You can help by insisting your insurer offers you reimbursement for medically indicated acupuncture treatments. Jersey-born Chiropractor Marie-Christine, one of the four founders of Align, is dedicated to promoting good health choices within the island’s community. She was inspired to become a Chiropractor after receiving chiropractic care for a sports injury while playing badminton for Jersey, and seeing benefits in pain relief as well as performance in sport and overall wellbeing. Marie-Christine studied for her masters’ degree in chiropractic at the world-renowned AECC (Anglo-European College of Chiropractic) in Bournemouth. She then joined a practice in Hove for three years, helping it secure the prestigious Chiropractor PPQM 2008-2010 award from the College of Chiropractors UK for meeting patient expectations and promoting good standards of practice. She returned to Jersey in 2008, establishing her reputation as a Chiropractor by setting up the Back to Balance practice and then the Lido Wellness Centre - with the firm belief that Chiropractic can help build and maintain a robust and healthy body, capable of dealing with everything that life throws at it. 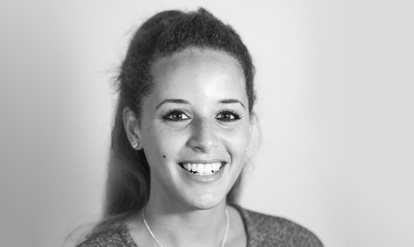 Marie-Christine has helped people of all ages, from the young, pregnant women and older people. Marie-Christine has completed further qualifications and courses including medical acupuncture, treatment of pregnant women, pediatrics, chiropractic neurology, activator technique, rehabilitation, and CranioSacral techniques. She is a member of the British Chiropractic Association. With a clear belief that health should be one of the main priorities in life, and prevention is always better than cure, Marie-Christine’s work to promote awareness of good health habits in her community has included giving talks to local school pupils and on local radio. As an athlete who has represented Great Britain in the 1,500m event, Amanda believes in a holistic approach to healthcare. Indeed, it was a running injury that sought her to seek chiropractic care and led her to pursue a career in the sector. A graduate of the Anglo-European College of Chiropractic, she holds a Master of Chiropractic degree. 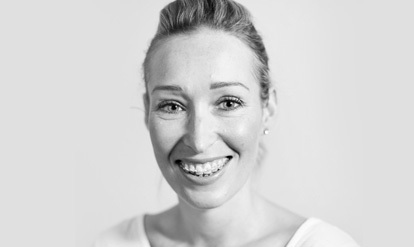 Amanda believes in helping patients achieve better health through a combination of hands on treatment, nutritional advice, corrective exercise and postural re-education. She also worked on the Ladies European golf tour to help players improve their performance, but loves to help anyone and everyone – from the keen athlete to the pregnant mum and baby to tradesman. Amanda is also a member of the United Chiropractic Association and previously was a Chiropractor at the Back to Balance clinic.